TEXAS, Sporting Alert – College Basketball scores and results from the list of games that took place on Tuesday, January 12. MORGANTOWN, W.Va. — Jaysean Paige scored 26 points and had five steals, and No. 11 West Virginia beat No. 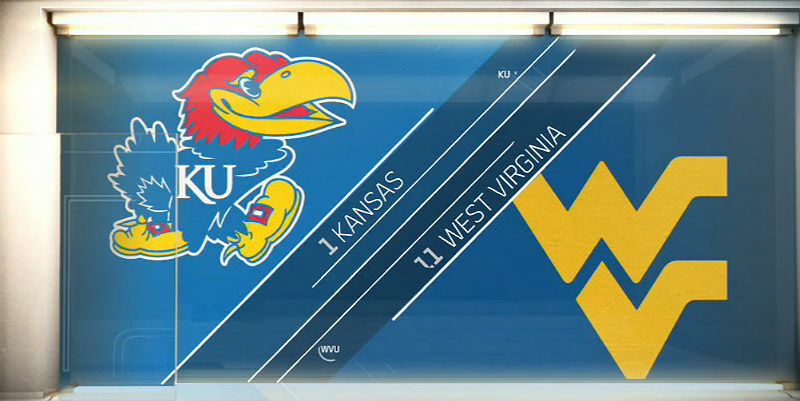 1 ranked Kansas 74-63 in a college Basketball game on Tuesday night in Morgantown. Devin Williams added a double-double of 17 points and 12 rebounds, while Jevon Carter finished with 10 points and five rebounds for the Mountaineers (15-1, 4-0 Big 12) who are off to their best start since 1982. West Virginia went into the game as 2-point underdogs, but pushed through to secure its first win over a top-ranked team in 33 years, despite shooting just 33.3 percent from the floor and going 3-of-12 from 3-point range. Meanwhile, Perry Ellis led Kansas (14-2, 3-1) with 21 points and seven rebounds, with Frank Mason III finishing with 12 points and Wayne Selden Jr. ending with 11. The Jayhawks shot 50 percent from 3-pointers and 41.7 from the floor, but committed a season-high 22 turnovers, and were held to their fewest point total of the season. Kansas, which only recently thrilled college basketball supporters with a triple-overtime victory over No. 2 Oklahoma, and retained the top spot in the college basketball top 25 rankings, became the fourth No. 1 team to lose this season. The other three top-ranked team to fall this season are North Carolina, Kentucky and Michigan State. Defeat also saw the Jayhawks’ 13-game winning streak snapped. Fans wasted no time storming onto the court after the win, as West Virginia handed the Jayhawks their third successive loss in Morgantown. “West Virginia is a really good team, and they’re aggressive and well coached,” said Kansas coach Bill Self. The Mountaineers, with the win, assumed first place in the Big 12 standings with their fourth straight conference victory. LEXINGTON, Ky. — Jamal Murray made five 3-pointers on his way to scoring 22 points, and No. 14 Kentucky held off Mississippi State for an 80-74 win in college basketball action on Tuesday night. Tyler Ulis added 21 points, 14 of which came in the second half, to go along with five assists and two steals, while Isaiah Briscoe finished with 14 for the Wildcats (13-3, 3-1 Southeastern Conference) who shot 50.9 percent from the floor. Craig Sword scored 20 points to lead Mississippi State (7-8, 0-3 SEC), with Malik Newman getting 14 and four assists and Gavin Ware ending with 11 and six rebounds for the Bulldogs, who were losing for the ninth straight time to Kentucky.